Early mornings and late evenings you can watch the surfers while relaxing on the large 12x15 balcony. The stairwell from the balcony leads directly to the beach. The building, itself was totally overhauled and looks brand new. The kitchen and bathrooms are all top of the line and the ceramic tile floor is exquisite.The master bedroom has a queen size bed with a new mattress and a flat screen television. The second bedroom also has a queen size bed with a new mattress and the third room has a full size bed and two single beds. In addition, the new living room couch pulls out for another bed. All rooms have a television. This unit is perfect for two families to sleep comfortably. Our condo is located on Atlantic Avenue right between 43rd & 44th street. Right where you want to be. There is not much bayside development in “midtown,” nor are any buildings over four stories. This means you don’t get a lot of traffic on the beach. Many times you feel like you have your own private beach. The boardwalk and Jolly Rogers are only fifteen blocks away. We do not use a rental company so I make myself very accessible. If you need anything or have any questions you can always get a hold of me. Both bathrooms have been recently remodeled. Direct view! There is no better view in Ocean City. We have an ocean side stairwell that goes right to the beach. Very spacious, clean, great location and beautiful view! Great place right on the beach. Stairs were not a problem! Convenient beach access staircase. Perfect location for popular places in the area. A few things need a little TLC but it’s vacation and 90% of our time was spent outside of the house. Thank you for everything Tom! Thank you for your comments John. We have made significant updates to the condo. (new living room furniture, refrigerator and mattresses. You are welcome back anytime. Beautiful location w/ easy access to beach. Nice and quiet and the perfect spot for my family. However, the place is in desperate need of improvements. There was no screen door to the balcony and the glass door was extremely difficult to open and clearly needed to be replaced. Knobs are missing from the washer/dryer, plugs from the sinks, and the only tub was also missing a plug so I was unable to give my toddler a bath and had to give her showers all week and that was not fun. The master bathroom shower door didn’t close right so there was water on the floor every time we showered and the lack of hot water was frustrating as it only lasted a few minutes. Also the mattresses were extremely uncomfortable and definitely need to be replaced also. Lastly, I brought my laptop with me in hopes of doing work for an hour or two each day while we were there the week and the WiFi was absolutely horrible to the point where i couldn’t even write one email without getting kicked out most days so I ended up having to use data from my phone so that was very frustrating. My family also liked there was Netflix available on the tv but a few days in and it was suddenly unavailable. 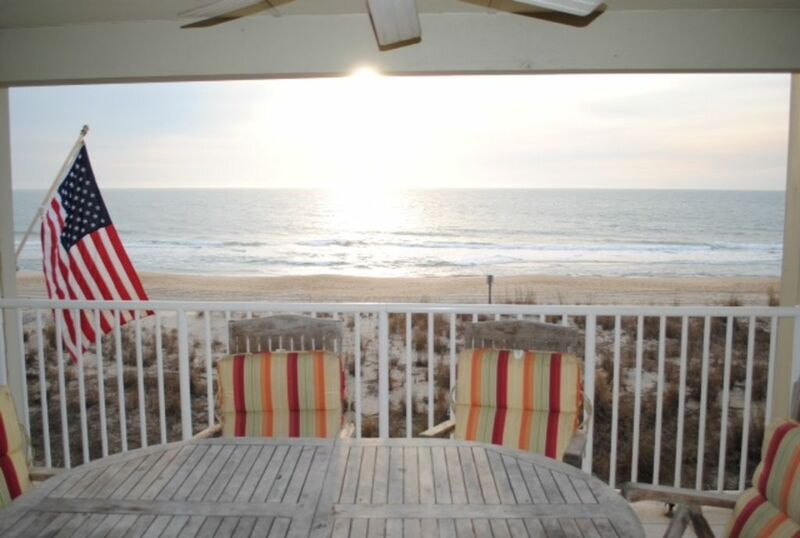 I have stayed in MANY condos in OCMD and have paid around the same rates for a week so I have a lot of comparable and although this was a great spot with good space and a beautiful view, the accommodations and standards were definitely not acceptable and need attention. Thank you for allowing us to stay at your place and I hope that you will take my feedback and make the proper updates so future guests can enjoy your beautiful condo. Thank you very much for all of your comments. We used this as our check list for updates that need to be made. I am happy to let you know that we have added new Livingroom furniture, refrigerator and mattresses. I agree the old mattresses were a bit uncomfortable. I can assure you the new ones are awesome. We have new wifi that has excellent range and made sure all knobs are in place. We have addressed the sliding glass door to the balcony but have not decided yet if we are going to add a screen. Screen doors never last the summer with the salt air. We are trying to decide on a better solution. We are very proud of the upgrades we have made. Thank you again for your input. Beautiful view from balcony, close to waves. Place was clean, most things worked (not the ice-maker), and we could walk to several good restaurants. Beds and mattresses not the best, but acceptable. Very relaxing overall. Thank you for your comments. We have listened and replaced the refrigerator, living room furniture and the mattresses. You would be happily supersized with the upgrades. Property needs some updates. Sliding glass door needs repaired very difficult to open. Furniture in living room have stuffing falling out and dirty. Kitchen,bedrooms and baths were adequate and the beach view and access is great! Thank you very much for your comments. We were aware of the updates needed and addressed them this off season.We have added brand new living room furniture, refrigerator and mattresses. You are welcome back anytime. A few inconveniences but overall a great place to stay. Our family of 6 adults was very comfortable, not sure where we could have put any other adults. The hot water was in short supply. The sliding glass door lock was broken. It would have been nice to have a combination lock on the balcony door so you could access the condo from that entrance. Parking was VERY tight for our full-sized pickup. The ice maker didn't work and the cookware in the kitchen needs to be replaced, but the rest of the kitchen was great and functioning. The master bath shower door leaks all over the bathroom floor. All that being said, we would definitely stay there again. The convenience of getting to the beach and the bus was fantastic. The view from the balcony was phenomenal! The decor is beautiful and tastefully done. The cleaning crew did a good job before our arrival. The open floor plan was good for "hanging out" together as a family. Ocean City is an enjoyable beach town with beautiful surf, fishing, boardwalk, amusement and water parks. A great place fot the whole family. We are walking distance to the Convention Center. Call or e-mail with any questions. The security deposit is $200.00. We rent from Saturday to Saturday only during the season. There could be a higher cost based on the size of the group and number of nights.